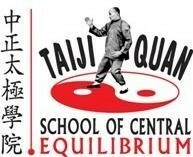 We are part of the UK branch of the Tàijíquán School of Central Equilibrium (TSCE-UK) which was originally established in 1997. The principal instructor of the school is Wee Kee Jin, who is based in Auckland, New Zealand and is internationally recognized as a senior instructor of the Huang Sheng-Shyan system of Tàijíquán. We run regular evening classes, weekend practice days, workshops with senior UK teachers and an annual Taiji & Meditation retreat at Dhanakosa retreat centre. Wee Kee Jin visits the UK twice a year to run an annual 8 day training camp in Norwich a 3 day workshop in Sheffield and, since 2014, a 3 day October workshop in Glasgow.